At The Four Paws Hotel & Day Resort in Grand Blanc, it really is a dog’s life! Dog owners from all over entrust the compassionate and caring staff there to take care of their beloved canines while they are at work or away on vacation. 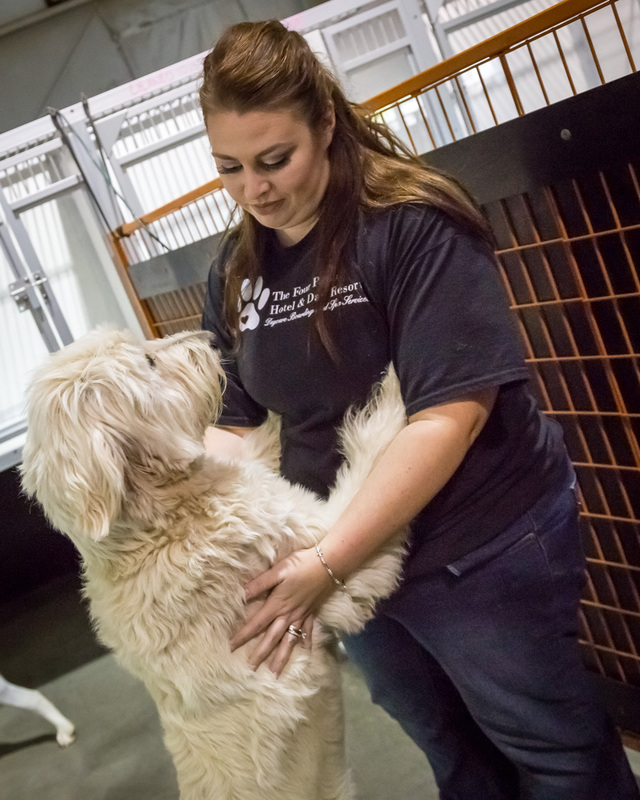 And according to Owner Michelle Goetz, a day at Four Paws is anything but dull, “It can be loud – very loud!” she exclaims with a smile. 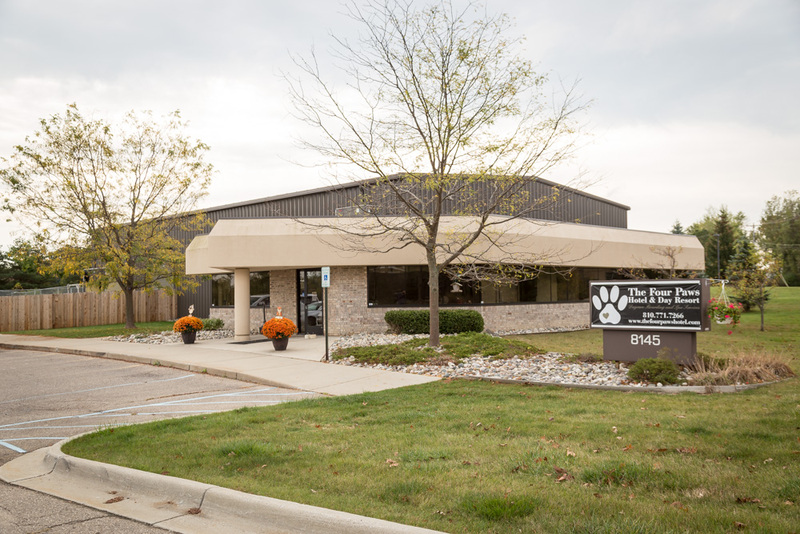 “There’s a lot of barking, but it’s fun and full of love.” A self-described dog lover, Goetz became acquainted with the business when she took her own dogs there when it was Paw Palace, owned by Heidi McAra. Goetz says she was devastated when she found out that McAra was closing the facility and consolidating it with her Fenton location. “So, I bought it to keep it going!” she exclaims. “The first six or seven months were tough, but I have a great staff and we’ve really grown quite a bit.” Goetz took some time out of her busy schedule to chat with My City Magazine about a typical day at The Four Paws Hotel & Day Resort. The day begins bright and early as staff prepares for guest arrival. Overnighters are taken outside for a potty break and breakfast is started. 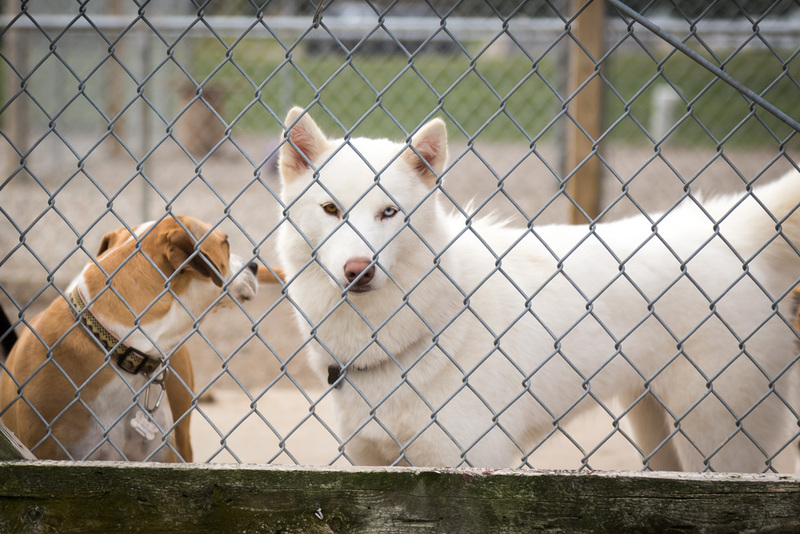 On average, about 60-70 dogs come for day care. “We officially open at 7am,” Goetz states, “but we will accommodate an earlier drop-off, if needed.” Meals can be provided, but most owners bring food from home and leave feeding instructions. Staff members, who are called Leads, feed the dogs and give them any required medications as directed by their owners. Lead Assistants help with distributing meals and clean-up. 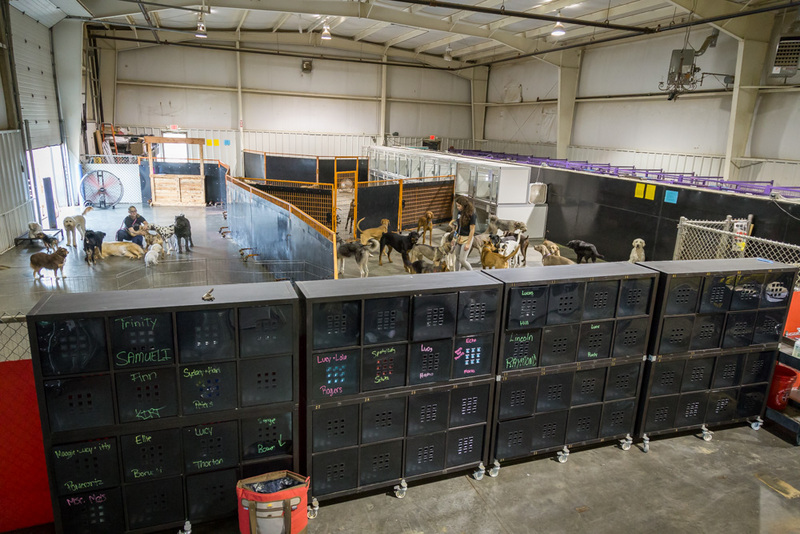 After breakfast, the dogs have a little time to relax in their own individual rooms until play groups are formed, explains the owner. It’s morning playtime. 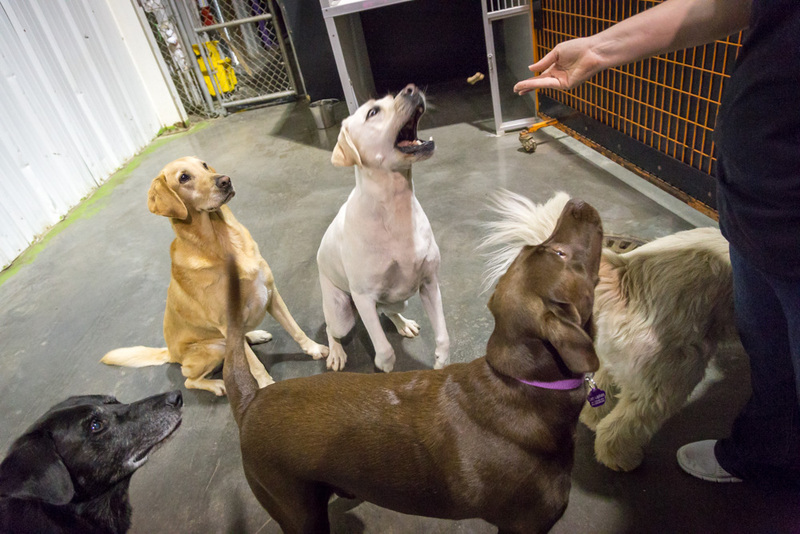 Age-specific play groups are formed, with smaller and larger breeds separated. Indoor areas are designated for romping around, and an outside play area where they can roam (weather permitting), play fetch and chase each other, and swim in kiddie pools when it’s hot outside. Play Attendants are on hand to supervise each group. This is relaxation time for the canines. “We dim the lights and put on some music,” Goetz reports. “They know it’s time to lie down and relax. They need to de-stimulate after the morning of play.” Dogs that require lunch are fed at this time. Meal times vary for the canines, as some only eat once or twice a day. 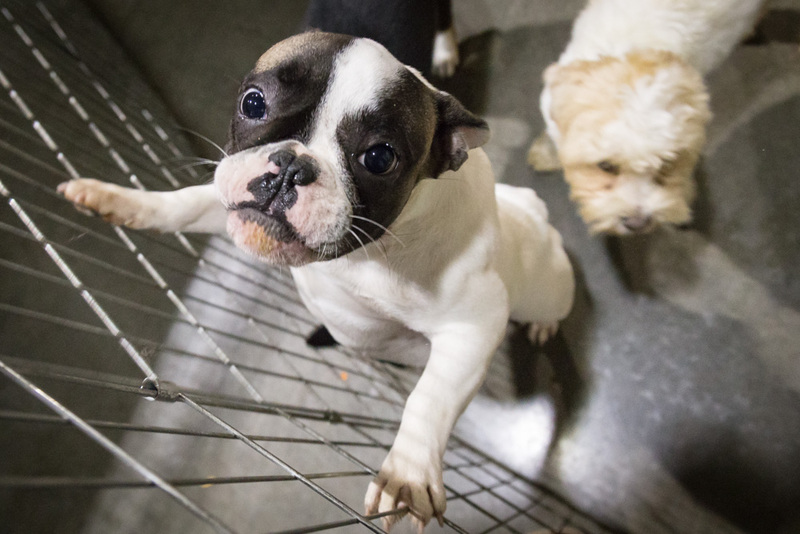 Most eat twice per day, but high-energy dogs and pups may get fed as many as three to four times, Goetz explains. The pooches enjoy an afternoon of play, but it’s at a slower pace, says Goetz. “This is when they get a little more one-on-one attention from the Play Attendants,” she adds. 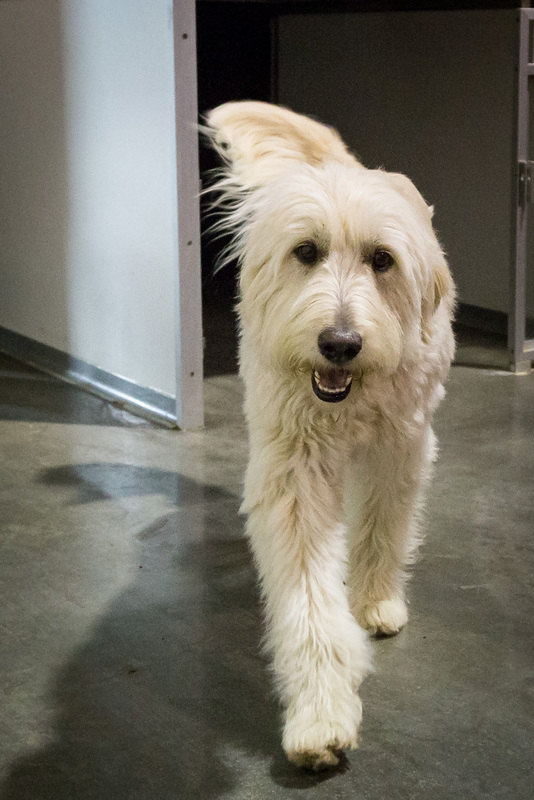 Pet owners can choose to have the unique “Pet Concierge” service – a dedicated staff member will send photos of their pup having fun playing during the day. This is the busiest pick-up time for the day. Dinners are served to the overnight guests that require it and medications or food modifications are taken care of during this time. This is closing time for the doggie day care, but staff is there as late as 11pm for dogs that are boarding. “Yappy Hour” is an add-on service that is offered, when pooches can receive special services such as massage, or a peanut butter filled Kong treat before bedtime. Overnighters are taken out for a nightly potty break and then, it is lights out. A special bedtime tuck-in service is offered when lullabies are played and the dog gets tucked in for the night by staff. According to Goetz, there are no staff members on site from 11pm to 6:30am, unless there are special circumstances such as a dog needing to have insulin. “Arrangements are made for staff to come in later, if needed,” she says. 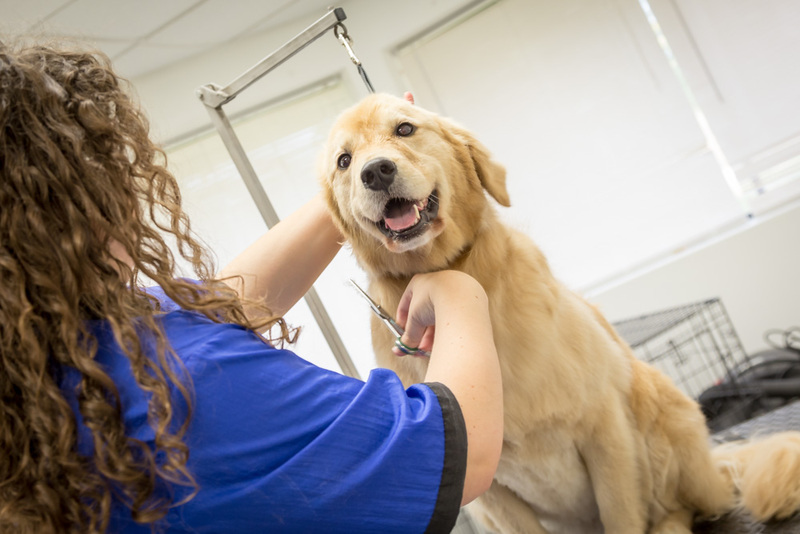 Although day care services are the bulk of the business, grooming and spa services are also available at The Four Paws Hotel & Day Resort. 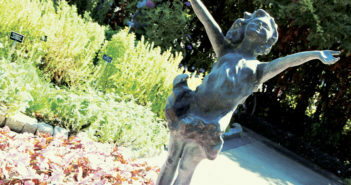 Overnight or extended boarding is more popular in the summer months and during the holidays. 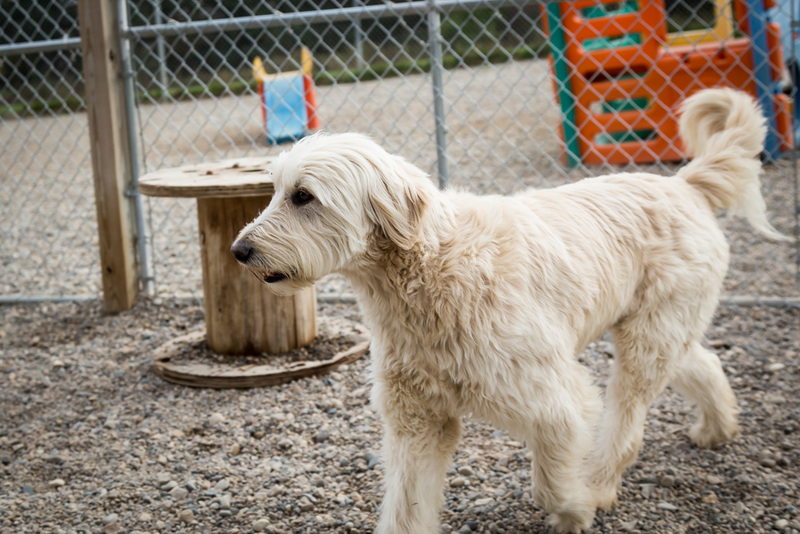 Just about every breed of dog can be found playing at Four Paws – a Great Dane, Goldendoodles, Bulldogs, Labs, Golden Retrievers and Yorkies (to name just a few). Goetz was very excited when they recently added a new member to the Four Paws family: a gorgeous, Dalmatian puppy with brown spots. Next Article Who is Jon Fett?